Sometimes, the world can be a difficult place to live in. With terrible news of wars, poverty, racism, and corruption everywhere, it seems there is no end to the evil. But there were several instances this year that proved good things are still happening in the world and there are people out there whose random acts of kindness are making this world a better place to live in. 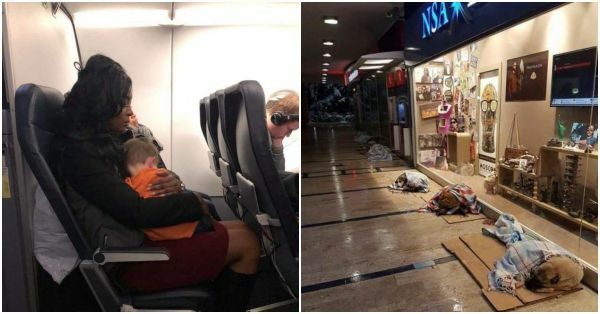 Have a look at eight of the most heartwarming photos from 2018 that will restore your faith in humanity and make you believe in the goodness in the world. 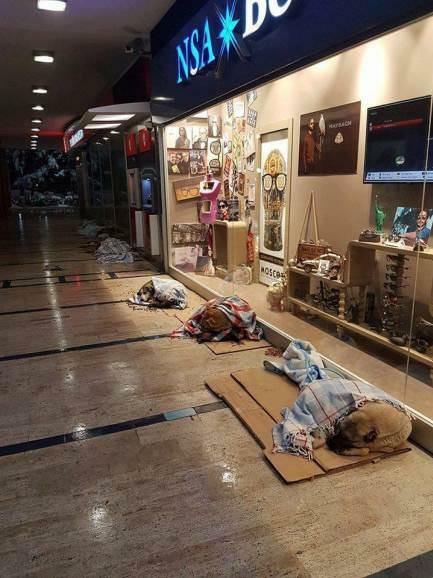 This mall in Turkey lets stray dogs sleep inside after the closing hours. The dogs are tucked in little blankets, so they are more comfortable. Doesn't this melt your heart? This Hyderabad police official went beyond his call of duty and fed an old beggar who was "too exhausted to even pick up the food and eat." The police officer saw the old woman on the side of the road. She had no food and water and had almost collapsed. The officer not only bought food for her, but also fed her. 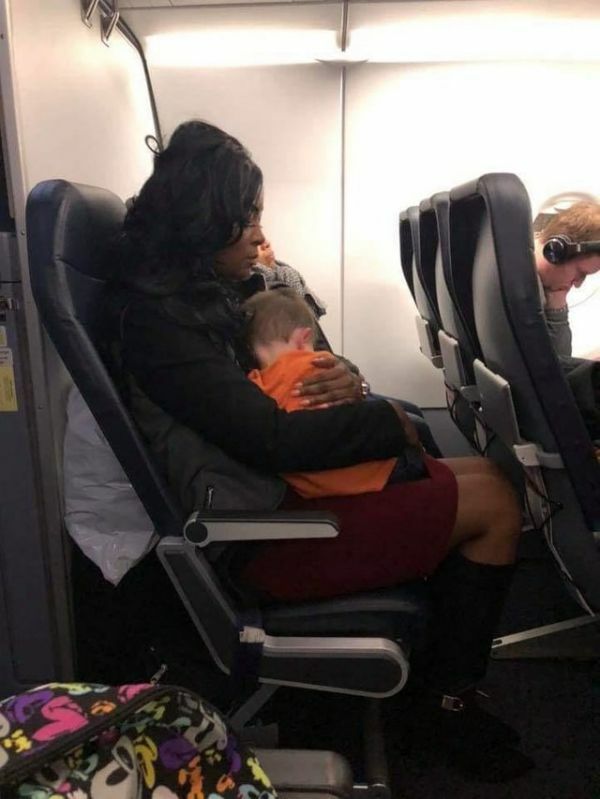 A stranger helped a mom calm her crying baby on the airplane. The baby slept in her arms through the night. She even walked with them to the baggage counter after the flight landed. 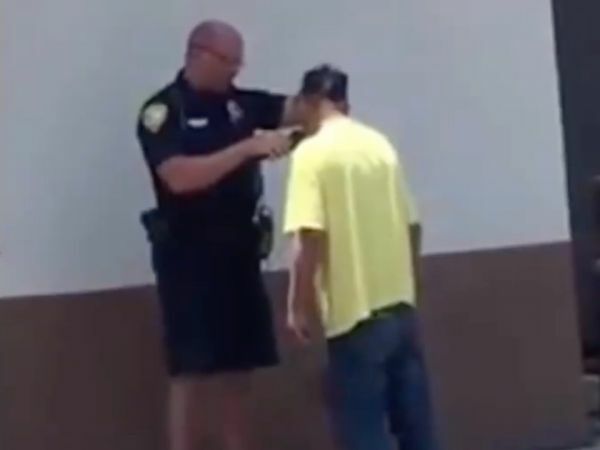 This heartwarming photo of a police officer in Florida helping a homeless man shave before a job interview went viral for all the right reasons and restored our faith in humanity. 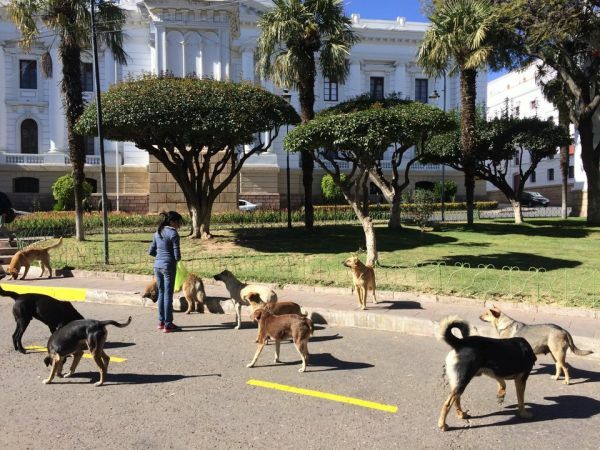 This woman in Bolivia has been feeding stray dogs for years. The picture was shared on Reddit by a passerby who would watch her every day. In a much-hyped ODI match between India and Pakistan in 2018, a beautiful moment of kindness and sportsmanship was captured. Indian player Yuzvendra Chahal helped Pakistan's Usman Khan tie his shoelaces during the match. The picture immediately went viral on the social media. 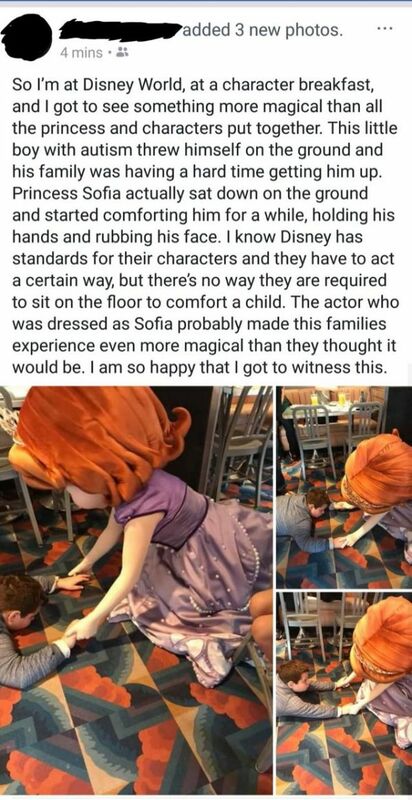 This Disney character sat on the floor and comforted a boy with autism when his family was having a troubled time getting him up. A school in Dallas posted a Facebook request for 50 men to show-up as father figures of kids who didn't have one. The request was for the school's 'Breakfast with Fathers' programme in 2018. 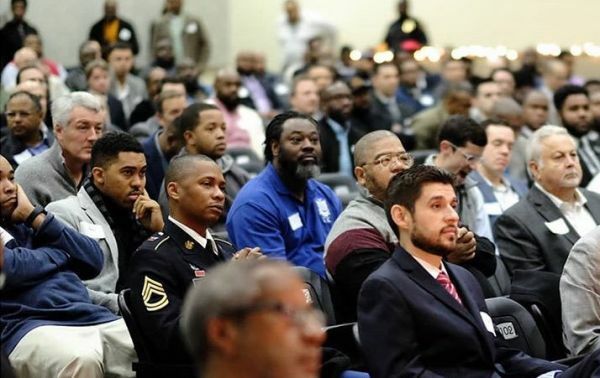 A total of 600 men from different backgrounds showed up! This heartwarming photo of the 'dads' went viral on the social media.